I still love these things. I'm not sure why. Cassette is a bundling and minification tool that is very powerful and extremely easy to implement. 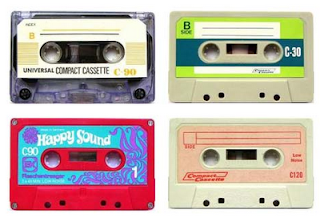 Long before MVC4 Beta had bundling and minification, Cassette was already doing it better, IMO. Easy to debug! Bundling and minification is only performed debug="false" is set in the Web.config. No more need for @section. There will be no more reason to render a section to your layout to plop your <script/> and <link/> tags in. Automatically prevents false caching. We've all seen the issue where we've updated some script file and our browser is just dying to hang on to some old version. Cassette gets around this by appending a hash of the file(s) to the reference URL, so every time you change a file, you're pretty much guaranteed your browser will pull down a new copy, but at the same time unchanged files will remain cached. First you need to install Cassette. There is a nice quick start guide on their site. Personally, I just right click References in my web project and select Manage NuGet Packages. Then I search online for Cassette and install it. Once it's installed, it will have set up your Web.configs, added references, and added a class file called CassetteConfiguration.cs. Your Folder Structure Is Now Free! Do not use inline scripts, do not use inline styles. I'm not going to get into the "whys" here, becasue that's a whole different post... For now, I'll just leave it at "you want to seperate your styles from your behaviors from your markup". Be unobtrusive. Do not put css or styles in your Partial Views! This is a really common mistake I see. What's going to end up happening here, is you're going to end up loading the same scripts or css twice, which can cause unexpected behavior. /* be sure to note that above there are three "///"
This is probably the easiest part of all. In a C# code block in your .cshtml files, I recommend at the top of the file, just as I demonstration in my _Layout.cshtml example above. All you do is just add a line that says Bundles.Reference("~/Path/Your/File.js") for each .js or .css file you want to add into a bundle. The syntax is the same for both .js and .css files. It gets a little trickier if you want to reference an external file, although I'm not sure why you'd want to do that, they do detail referencing external scripts in their documentation. That's really all there is to it! Now I'd recommend setting debug="true" and "false" in your Web.config and checking the page out in your browser a few times so you can marvel at the differences.